If you haven’t noticed yet, our shelves in the Produce Department are overflowing with a multitude of new, local apples! While each variety is uniquely delicious, I want to highlight a few of my favorites that have emerged from the crowd. 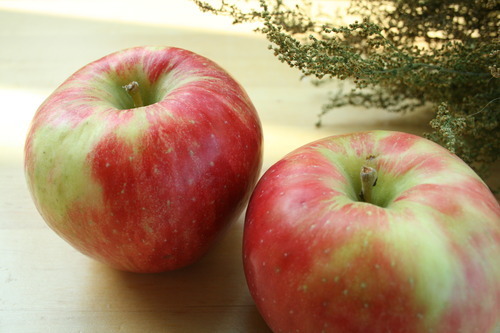 This list could only begin with one name, of course – the all around champion – honeycrisp! A go-to favorite, it’s easy to see why. Their extra-crunchy, golden yellow flesh snaps pleasantly under tender skin, and the flavor is sweet with just the right amount of tartness. Whether grown at Champlain Orchards in Shoreham or even closer at Shelburne Orchards, you won’t be disappointed by these winners! A superb eating apple, the honeycrisp also holds up well in recipes, like the tangy cabbage dish I made recently, or baked into pies and crisps. 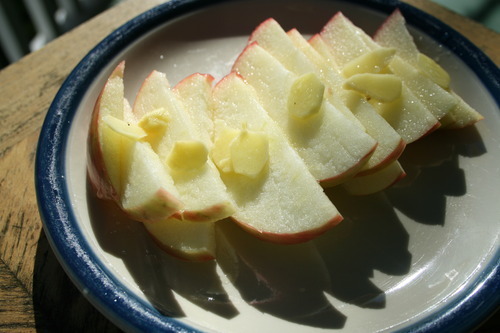 Strictly for snacking, I like to slice my honeycrisps thin with some of our amazing fresh baby ginger. 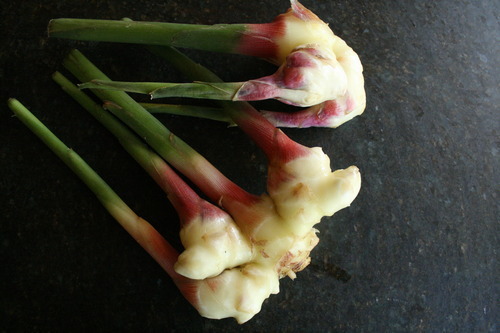 Have you tried Eugenie Doyle’s Vermont ginger? If you haven’t, there’s no better time than apple season! Come and find it in the roots case at the heart of the Produce department. You’ll be amazed at its mild yet zesty flavor and supple tenderness, making it easy to gnaw raw (professionals only), or muddle into a spiced hot cider. It also bakes well, as I found when I grated some into my pumpkin bread batter this week. Use it anywhere you would use ginger, and everywhere else, too… you can’t go wrong with this stuff! Not to be overshadowed by the honeycrisp, we are also featuring several varieties of heirloom apples ecologically grown by the Scott Farm in Dummerston, home of 90 different apples! These heritage breeds are smaller and firmer with more potent flavors, and each is a little different. Fun facts: the Scott Farm is on the National Register of Historic Places, has been growing since 1791, and the award-winning film The Cider House Rules was shot here in 1999! 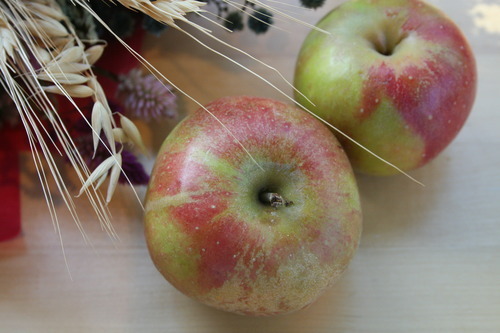 I love the Holstein, a light-colored russetted apple with a citrusy bright flavor, which makes sense as it’s related to the better-known Cox Orange Pippin. To me, it’s reminiscent of pineapple… what do you taste? This is a superb pie apple for all you bakers! 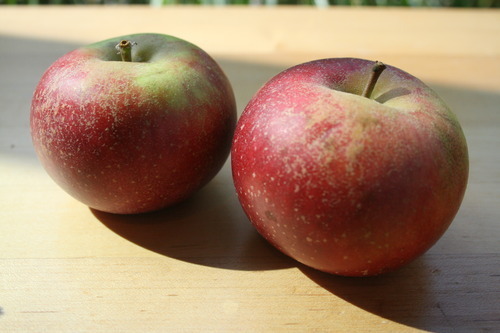 Another star of the heirloom lineup is the Orleans Reinette, a rosier-cheeked apple with a flavor that is more aromatically floral with a nutty undertone. It’s delicious sliced and dipped in your favorite nut butter (think chocolate and hazelnut). This apple lover could go on and on, but alas, it seems we have a case of too many apples and too little time… come on into Produce and discover your own favorites today! This entry was tagged apple, fall, ginger, healthyliving, heirloom, takeabite. Bookmark the permalink.